Cocoa Beach Discount Pharmacy has been serving the community since 2010. Over the years, we are proud to say that we have consistently provided our clients with fast, high-quality, and affordable pharmaceutical products and services. Despite only being in business since 2010, our pharmacists at Cocoa Beach Discount Pharmacy have a combined experienced of over 15 years. With this experience, we guarantee that you will be treated by knowledgeable staff who will treat you like family. More than that, we also guarantee that all of your pharmaceutical questions, product inquiries, will be met. 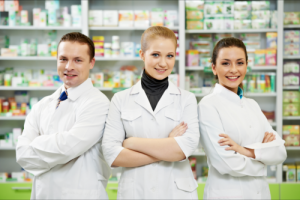 At Cocoa Beach Discount Pharmacy, we are highly dedicated to providing our customers with services that are customized to meet their exact needs. Whether its prescription medications or over-the-counter products, we are here to fulfill any and all of your requests. If you haven’t taken advantage of one of our many services, call us now at 321-799-2030 or stop by and come see us today! At Cocoa Beach Discount Pharmacy , we are your rightful partner towards fast recovery. Cocoa Beach Discount Pharmacy is a progressive, independently owned pharmacy that has the capacity of a major chain with the personalized approach of a local pharmacy. Our goal is to be the fastest and the friendliest neighborhood drugstore, offering extraordinary customer service. We work very hard to bring you the kind of services that puts health and well-being first. Whether it is answering question about you prescriptions, offering free-delivery solutions, refill reminder, refill request authorization, prior authorization services, packaging, flexible payment options, e-prescription service, and blood glucose meter and supply services. And we offer the best cash price in the area. We are always available to service you. We always try to distinguish ourselves from other pharmacies and pharmacy chains by providing additional services, while maintaining the highest possible level of care and customer services for our patients. At Cocoa Beach Discount Pharmacy, we strive to assist physicians by appropriately managing treatment regimens in an effort to maximize their therapeutic potential. One-on-one in-home education and counseling to patients is also available. Cocoa Beach Discount Pharmacy is committed to providing customers the support, programs, merchandise and care they need to make every day a little easier and healthier. All While Upholding Strict patient Confidentiality.